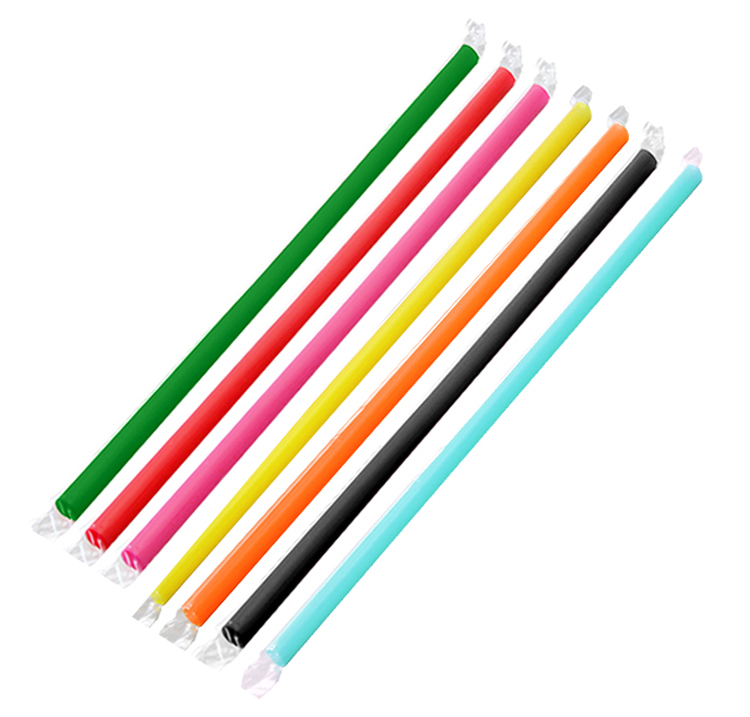 9-inch plastic straws that are individually wrapped available in 7 different colors. See "PRODUCT OPTIONS" for color choices. Each color sold in full cases of 2,500 pieces. 5 packages of 500 count. 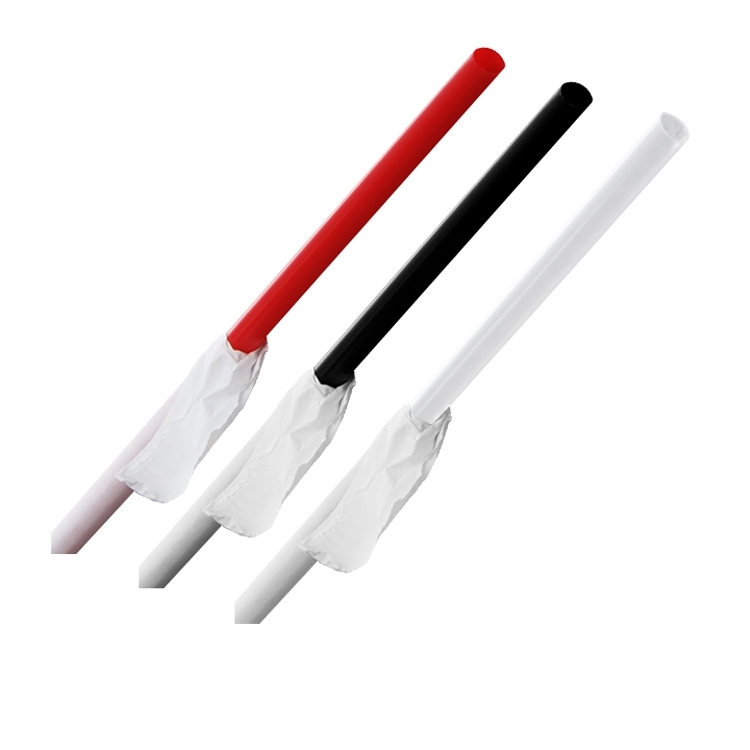 10.25-inch plastic straws that are individually wrapped available in 3 different colors. See "PRODUCT OPTIONS" for color choices. Each color sold in full cases of 1,200 pieces. 4 packages of 300 count.